7-inch multi-touch screen for ODROIDs gives users the ability to create all-in-one, integrated projects such as tablets, game consoles, infotainment systems and embedded systems. The 800x480 display connects to ODROID-C1+ via an HDMI link board and a micro-USB link board which handles power and signal. Just connect a DC plug in to the DC-jack on C1+, and you are ready to play, once you install the latest OS up- date. 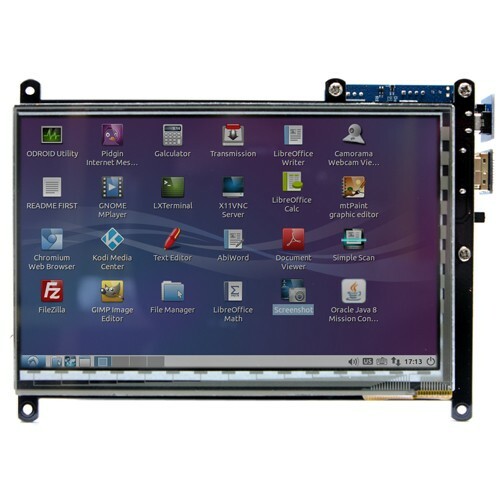 This high-quality touchscreen is specifically designed to work with both Android and Linux on the ODROID-C1+ and ODROID-XU4.